Miller IDS is your source for technology that integrates into your daily project and document workﬂow. We are recognized as a leader in providing a multitude of technologically advanced solutions for the A/E/C community. 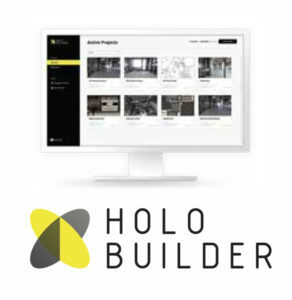 As the industry moves away from paper and towards digital communication, we remain committed to oﬀering cutting edge jobsite technology that will save you time and money, while increasing your productivity and safety at the same time. Work together with your whole team, and enjoy enterprise level service and security. 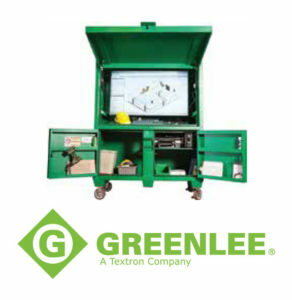 Improve jobsite productivity with fully customizable, electronics ready ﬁeld oﬃces. Sliding shelf for pull-out storage of laptop, keyboard, etc. 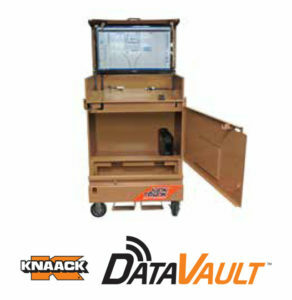 The KNAACK DataVault combines connectivity and productivity while securing digital assets directly on the jobsite. A step above the traditional jobsite protection device, KNAACK® DataVaults are customized for professionals. It enables secure connectivity for all stakeholders directly to the worksite, empowering productivity and maximizing ROI of technology investments. With technology best suited to improve business efficiency, KNAACK® DataVault’s customized interior arrives on the job ready for use. It is also supported with a nationwide, manufacture-certified support network to bring agile solutions. The rugged tablet authority protects from all the elements. For the past 20+ years, Xplore, an Austin based business, has been building rugged mobile computer platforms. They are industry experts with proven success in their customer deployments. Xplore promises to reduce deployment risk and lower TCO for your company’s short-term and long-term rugged mobility investments, as well as increased efficiency, accuracy, and safety for all of your workers. 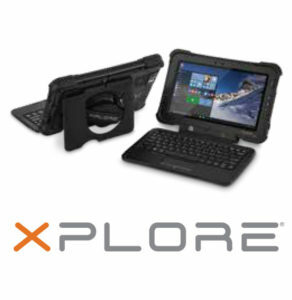 Xplore is protecting your jobsite tablets, monitors, and screens from drops, vibration, wind/rain, sand/dust, shock, fluid contamination, extreme temperature, salt fog, humidity, and altitude.